Adrian Smith: Raymond, you wrote a series of essays back in the 1990s which criticised the then current status accorded to classical music in Ireland. Do you think that things have improved in the 20 years since you wrote those articles? Raymond Deane: Fundamentally, no. My theme back then was that the very existence of Irish ‘classical’ music had never become a part of our national consciousness. It had been pushed aside by a postcolonial inferiority complex that taught us to value only what was seen to be valued by the outside world, particularly in the Anglosphere, and particularly when that valuation was seen to generate big financial rewards. Irish classical music couldn’t be exploited by the tourist industry, and hence was deemed non-existent. At the same time composers were elected to Aosdána, a phenomenon which I dubbed the ‘the honour of non-existence’, a phrase that may appear on my tombstone. The wheel is constantly being reinvented – festivals come and go, initiatives are taken and collapse – but the primary vicious circle persists as a noose around our collective necks. Over the last decade RTÉ has issued a series of excellent CDs each devoted to an Irish composer – but there have been no public launches of these, they are rarely if ever broadcast (literally or metaphorically), and they are not disseminated abroad. Composers like Gerald Barry, Jennifer Walshe and Andrew Hamilton have become internationally known because their work was ‘taken up’ abroad, not because the Irish state takes pride in them and proactively disseminates their work. AS: With that phrase ‘the honour of non-existence’ you identified a very curious and perhaps uniquely ‘Irish’ phenomenon whereby potentially significant things do actually happen but there is no real passion or commitment on the part of the various state organisations to really push these initiatives over the line. However, don’t you think that at some point the composers themselves need to shoulder a portion of the blame? There seems to be no sense of collective activism or solidarity on the part of Irish composers. 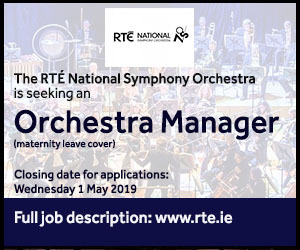 To take just one recent example: this year there will be no recent contemporary Irish orchestral music featured in the main season of the NSO. In any other artform this would cause an uproar. Could you imagine what would happen if the Abbey theatre decided to programme its main season without a new Irish work? Isn’t there plenty of blame to go around? Aren’t representative bodies like the Association of Irish Composers (AIC) and the Irish Composers’ Collective (ICC) failing to advocate effectively on behalf of composers? RD: I agree that composers need to shoulder some blame. As for myself, from 2001 onwards I may have shifted my activism from musical politics to politics tout court, although of course the two needn’t be mutually exclusive. It seems to me that the ICC and AIC see themselves more or less as concert agencies rather than activist representative bodies. There’s no doubt that there is a sizeable amount of work by contemporary composers being performed under the aegis of these organisations – in that sense they’re both reminiscent of the Association of Young Irish Composers which we founded in 1972, and it may well be that many of these composers are content with this situation. There are also Kirkos and Ergodos, and what they have achieved shouldn’t be underestimated, but they’re not activist bodies. 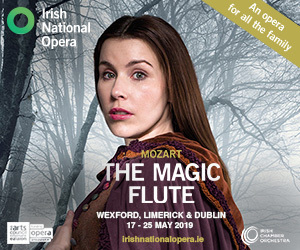 It may well be that the idea of composing large orchestral works or operas doesn’t appeal to many younger composers in the first place, so whether the RTÉ NSO lives or dies, or whether the Wexford Festival takes on Irish opera, is a matter of indifference to them. AS: It is interesting that the two groups you mention – Kirkos and Ergodos – are organisations that are run by composers. This is perhaps one of the big reasons for their artistic success in that they are not reliant on administrators and have complete control over their creative direction. It seems obvious to me that there should be more of this type of composer-led activity. Could it be the case that Irish composers have lost a certain amount of influence through a lack of representation on various boards and committees, or do you think that there’s a more general lack of solidarity amongst composers compared to the activism you and your colleagues engaged in back in the 90s? 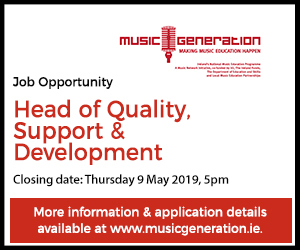 RD: Yes, it’s a long time since a composer ran RTÉ’s music department for example, and I can’t think of any composer who has been administratively active within Lyric FM. In the 70s and 80s, the head honchos of RTÉ’s music department, Gerard Victory and John Kinsella, were both composers, and were both very supportive of Irish composers in general. As for other organisations, the late James Wilson sat on the board of the PRS and was instrumental in bringing IMRO into being. In the 1980s the Dublin Sinfonia was founded and directed by a composer (the late William York, from Scotland) and they performed and commissioned a lot of new Irish work. The artistic directors of all the RTÉ Living Music festivals were composers. In relation to your point about activism, I think composers’ activism must be dated back to the 70s, not just the 90s. In the days of the Association of Young Irish Composers we mostly hated each other’s music, but took pains to have it performed and turned up to sneer, if nothing else. Senior composers also turned up to our concerts, and we attended their premieres on occasions such as the Dublin Festivals of 20th Century Music just to prove to ourselves how much better we were. I’m being jocular here, but there was indeed a sense of solidarity. Such solidarity nowadays is tepid at best, as far as I can see. 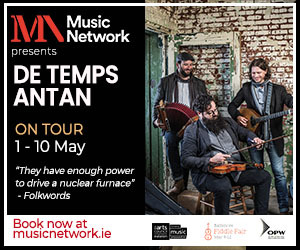 When the RTÉ Contempo Quartet toured my 6th Quartet around six venues including the NCH in 2017, to the best of my knowledge not a single composer turned up – nor did any critic, incidentally! 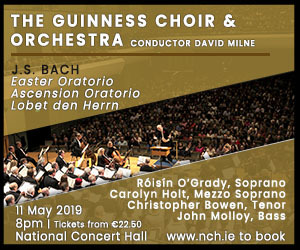 However, I also noticed a total absence of composers at a wonderful performance of Bach’s B Minor Mass in the NCH some months ago, so I find myself uncharitably speculating about a general narrowing of composers’ focus. I hope this is unjust. AS: Yes – it is quite curious that many composers only attend concerts if they are directly involved in some way. 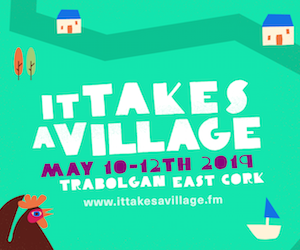 One group will attend concerts by the Crash Ensemble, another will frequent the Santa Rita concerts by Ergodos and still another will come to a festival like Music Current run by the Dublin Sound Lab. There are, of course, people that attend everything but they remain a very small minority. What do you think is the primary cause of the ‘cliquish’ nature of the Irish scene at the moment? RD: I think this has many causes, one of which is a kind of specialisation which is very much of our time. I also feel that the PhD syndrome may have contributed to this narrowing of focus. At a reception opening a conference on contemporary music in an Irish university a couple of years ago I got into conversation with a number of people who, when I asked them if they were composers, invariably replied ‘I’m doing my PhD in the University of ….’ I felt like countering – and may indeed have done so once or twice – ‘but are you a composer?’ You don’t have to have a sublimated view of the composer’s status to find it chilling that someone should believe that a PhD necessarily ‘qualifies’ you to call yourself one; worse still is the idea that, once qualified, you can then set yourself up as a teacher guiding other would-be composers to prove themselves by acquiring a PhD rather than by writing interesting music although no doubt the two aren’t mutually exclusive. I might also add that ‘in the good old days’ – which in reality I don’t idealise – composers would engage in endless arguments about questions of aesthetics with one another. Nowadays when I give a guest lecture at a university and attempt to raise such issues, I’m mostly met with a blank. There are exceptions, but I feel that more and more young composers aim for the line of least resistance, which is the white-note, event-free framework that has become pretty much hegemonic, and that applies across superficially different styles. Perhaps this has something to do with younger composers no longer feeling themselves to be part of a ‘classical’ tradition, even using that word (and the dodgy word ‘tradition’) in the most extended sense. My own sense of working both within and upon (and sometimes against) that tradition is a dialectical one, and dialectic isn’t popular. AS: A number of years ago, you published an article entitled ‘Uneventful Music in Eventful Times’ where you took aim at precisely the kind of ‘anti-dialectical style’ you seem to be referencing here. Could you flesh out a bit more the kind of music you are alluding to? Furthermore, these composers often allude to painting, and often the same artists (Jasper Johns, Rothko, Guston, etc.) referenced by US composers like Feldman and filtered through the (in my view misleading) writings on that composer by the American essayist Art Lange. The reference point is often Clement Greenberg who claimed that ‘two-dimensionality […] is the guarantee of painting’s independence as an art’ and denounced the ‘illusionism of perspective’. Much contemporary US music aspires to the condition of two-dimensional painting, which in musical terms implies a voluntary exclusion of a multi-dimensional perspective that, in reality, need imply no such illusionism. However busy, this music aspires to the condition of stasis in that it is essentially uneventful – an event being, among other things, what Slavoj Žižek referred to as ‘the surprising emergence of something new which undermines every stable scheme’. Stasis, the absence of events, the absence of conflict, a music that ‘goes with the flow’ and excludes dialectic – these for me evoke the whole ‘end of history’ mystique famously enunciated by Francis Fukuyama, then of the US State Department, who specified that although disruptive things go on happening after the triumph of global neoliberalism, they’re just hangovers from the past and not real events. 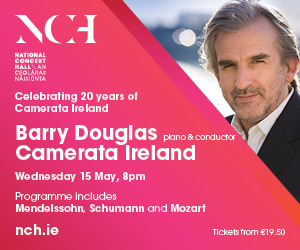 This American slant was possibly introduced into Irish music by Donnacha Dennehy twenty years ago via Trinity College Dublin’s department of music and technology and the Crash Ensemble – and of course in both capacities he commendably filled lacunae in our musical life. His own works, from Begobs (1995) to Crane (2009) to The Second Violinist (2017), are very skillful textbook illustrations of the tendencies I outline above, so it’s hardly surprising that so many of his pupils have trodden related paths: David Collier, Rachel Ní Chuinn, Jonathan Nangle, Enda Bates, Simon O’Connor, Benedict Schlepper-Connolly, Garrett Sholdice, Judith Ring. Several of these names are also associated with the Ergodos collective, which, according to the critic Liam Cagney, takes ‘as preliminary role models Feldman, Dennehy and Volans’, although I believe Feldman to be such a spectacularly self-contradictory figure as to be only very selectively serviceable as a role-model for anything. Positively reviewing albums by Schlepper-Connolly, Collier and O’Connor, Cagney’s reservation concerning ‘the limitation of one’s musical palette to neo-tonality’ is that ‘[s]ome might miss on the music of these albums the absence of dissonance, of the chaotic, of the psychedelic: elements of post-1945 new music that, contrary to stereotypes, can feel all the more affirmative for feeling real.’ For me such a ‘reservation’ gets close to the core of this music. The ‘anti-dialectical style’, however, isn’t confined to TCD graduates. Ed Bennett, Seán Clancy, Sam Perkin are just a few names plucked out of the hat – undoubtedly composers of individuality, but ultimately working within the same narrow premises. When I co-curated the Crash Ensemble’s 2014 Free State concert, I included a piece called Fourteen Minutes of Music on the Subject of Greeting Cards that seemed to follow these premises for most of its duration but that briefly, towards the end, allowed the neutral juxtaposition of elements to morph into friction and a climax of sorts. The composer turned out to be Seán Clancy, but I’ve subsequently and regrettably encountered no further such violations of anti-dialectical dogma in his work. Observe that this compilation of names isn’t intended as some kind of blacklist – on the contrary. If you work your way through these composers’ Soundcloud sites, you’ll hear much that is accomplished at worst and beautiful at best. For me this makes it all the more regrettable that it’s mostly so very unchallenging. AS: Can you really be so categorical in claiming that the music of these composers is as anti-dialectical as you say it is? Take Andrew Hamilton, for instance. In pieces like music for people who like art (2009–10) and music for roger casement (2006) he largely follows this ‘postminimalist’ formal model but his material is much more abrasive and the intrusions more abrupt – a feature possibly influenced by his studies with Gerald Barry and Louis Andriessen, again two non-American composers (though of course the latter is often classified as Europe’s answer to American minimalism). Also, you mentioned Kevin Volans, who has, of course, taught many of the composers you listed earlier. The kind of non-developmental style that he advocates has its origins in the patterning of African music and textiles which combine irregular repetition with sudden intrusions of seemingly unrelated material. Aren’t you being slightly mischievous in attributing the anti-dialectical nature of Irish contemporary music exclusively to the Americanisation of Irish culture when in fact it has more complex, multifaceted origins? RD: For me what is at issue is the transformation of time into space which Fredric Jameson posits as one of the central characteristics of ‘the cultural logic of late capitalism’ and which has reached its apotheosis (or nadir) in US-dominated globalisation. Whichever influences are enlisted by a music contributing to this ethos are a secondary matter, although the stress on textiles by Volans (and Feldman) is suggestive of the marshalling of the visual in the interests of the static. As for ‘intrusions’, it all depends on whether they subvert the musical flow or leave it intact. Andrew Hamilton is indeed an exception despite his studies with Andriessen, a far less interesting composer than his pupil. As with Gerald Barry, there is an element of excess in Hamilton’s work that is missing in most contemporary Irish music, and that wrenches his best work out of the claws of its premises. One might also mention David Fennessy, a composer whose sheer aural and conceptual inventiveness transcends categorisation. Pieces like The first thing, the last thing and everything in between (2009) or 5 Hofer Photographs (2012) are exquisite examples of ‘white-note’ writing, whereas the equally white-note choral piece Letter to Michael (2014) manages to be genuinely disturbing. Works like 13 Factories (2009) or the orchestral This is how it feels (Another Bolero) (2007–9) are strikingly heterogeneous both as regards pitch-structure and temporality. Despite these exceptions however I still feel that many of the younger composers have unwittingly subscribed to a certain code of prohibitions. For example, in a recent interview when Hamilton says (referring to his supposed affinity with Stravinsky) ‘that’s what I’m aiming for – everything is just… always there. I don’t want any narrative’ he’s enunciating such premises: the ban on ‘narrative’ is just another postmodern dogma, and in reality nothing in life ‘is just always there’. AS: Well, every broad style will create its own terms of reference which may appear narrow to those with opposing aesthetic views but let’s pursue this idea of spatiality in more detail. Following Jameson, you seem to be interpreting all this from an Adorno/Marxist perspective whereby certain dominant tendencies are sublimated in works of art. Thus, for you, the flat surfaces of this anti-dialectical style mirror the flattening out and cultural uniformity that is a feature of multinational dominated capitalism. Ireland is, of course, perhaps the most dependent economy in Europe on US multinational corporations and few would argue that we haven’t been guilty of an uncritical embrace of US culture on a national level. But if the spatiality that you discern in much recent Irish contemporary music is reflective of the cultural logic of US dominated globalised capitalism – well then, so what? The heroic age of bourgeois capitalism in the nineteenth century or the industrial modernism of the twentieth were scarcely better times. While you may profess to dislike its broad tenets, can’t this anti-narrative postmodern style – which you claim has become the default style of our age – still supply the necessary level of critique as long as it contains the kind of disruptive juxtapositions that one finds in Hamilton, Fennessy, Barry or, dare I say it, even Andriessen? RD: I would never refer to anything being ‘sublimated’ in art, nor would any Marxist (and I’m not sure that I’m one). I do consider that art – however ‘abstract’ – can embody or be mimetic of other aspects of reality. The music of which I’m critical is habitually mimetic of painterly or other primarily visual or spatial processes. This negates music’s temporality, which for me comes close to being its essence – although I’d immediately put the concept of essence under erasure! The processes which it is most profoundly equipped to embody are temporal ones – one of which is history, which, for me, hasn’t come to an end (so perhaps I am a Marxist), but is characterised by stops and starts, catastrophes and quiescences, conflicts and mostly provisional resolutions. Perhaps the spatialised, a-temporal, uneventful and euphonious mode of composition so hegemonic among younger composers is a new genre – let’s call it ‘neo-light music’ now that the term ‘light music’ is verboten. So much of it is very pleasant, its radical exclusion of dissonance and crisis suggesting that it dwells in a ‘fully realised utopia’ – the English historian Daniel Stedman Jones’ critically intended depiction of neo-liberalism. Your ‘so what?’ implies that the presence of exceptions (as you see them) renders all this irrelevant – I believe that the exceptions are few and the conformity oppressive. AS: The kind of criteria of value you are outlining here (in negative terms) seems to have certain affinities with Adorno’s aesthetic concept of ‘authenticity’ whereby the value of a work of art lies in its ability to incorporate or sublimate conflict immanently within its form. You seem to be making the case that the anti-dialectical style has a certain falseness about it in that its smooth, unruffled surface seem at odds with the reality of the world. Your relegation of this music to ‘neo-light music’ – perhaps an unfair categorisation – suggests that you don’t really regard it as serious art as such; it’s really entertainment or a comforting form of escapism. I’m in no position to speak on behalf of composers who write in such a style but I’m guessing some might counter by claiming that the stillness and melancholic consonance of their music is intended to engender a kind of introspective reflection and as such runs counter to the cynicism of the past few decades of postmodernism. In this way, it could be viewed as a more humanised music in that it acknowledges emotional expression directly rather than keeping it at arm’s length. Indeed Liam Cagney has suggested the term ‘The New Sincerity’ for the music of a number of composers who you mentioned earlier (Donnacha Dennehy, Benedict Schlepper-Connolly, Garrett Sholdice, Linda Buckley, Sean Clancy and others) whose music has taken a more introspective turn in the last decade. It could be further argued that the a-temporal, reflective nature of this music offers only a glimpse of utopia – rather than a fully realised one – as it tends to avoid affirmative gestures. The music is static and often ends when it runs its course rather than building to a conclusion. There isn’t anything that could be read as a clear affirmation – the utopia remains only a distant image. RD: It would be overstating things to claim that I don’t really regard it as ‘serious’ art. That phrase ‘but is it really art?’ presupposes an excessively narrow definition of ‘art’, and the word ‘serious’ begs too many questions. I personally hear no ‘direct emotional expression’ nor indeed any genuine ‘introspection’ in most of this music, nor do I demand such things. A surface ‘at odds with the reality of the world’ is fine by me, as is a music that ‘runs its course rather than building to a conclusion’. It’s the sameness of this ‘glimpse of utopia’, its fashionable ubiquity, that depresses me; there’s no way in which the event-free utopia is ‘a distant image’ – it’s a constant presence in the reconciled nature of the work. Furthermore, my strictures don’t just apply to ‘introspective, reflective’ music, but to any music no matter how frenetic that nonetheless is inherently uneventful – not just Einaudi, but Bang on a Can too. And if I may say so, there’s something ironic about dyed-in-the-wool postmodernists berating postmodern cynicism. Let’s be clear: my concern isn’t to prescribe what kind of music people should or should not compose, but to highlight what I see as the implications of the seemingly normative exclusion of dialectic from what most of them are composing. I avoid the term ‘authenticity’, which has as presumptuous a smack as ‘sincerity’ (‘I’m sincere but you’re not…’), but I wonder why we have to be condemned to Adorno’s other polarity: ‘resigned art.’ I’m most definitely against resignation. AS: Could you expand upon the notion of ‘dialectical’ with regard to music? Many readers may be familiar with the philosophical notion of a Hegelian dialectic where there is a thesis and an antithesis that come into conflict and produce a synthesis which in turn becomes the thesis of a new cycle. You’ve often talked about the importance of conflict in your music, in pitting opposing sets of materials against each other but could you give an example so that readers can get a sense of what you mean by this term? From the very start I found myself uninterested in fitting into the boxes of tonality or atonality, but instead of merely juxtaposing these options I sought to dramatise their interaction, whether as conflict, confrontation, or negotiation – one that might even fail, which is what happens in my Oboe Concerto. In my Leaving Cert piece Seachanges the rigid opening is based on just 3 notes: A/G/E. This is disrupted by an A-flat, like a grain of sand in the machine, which eventually brings about that structure’s collapse. As a rule, structures in my music are there to be broken down – the dissolution is part of the music’s process, or, more precisely, of its itinerary – as is the formation of new structures which are themselves dissolved. I have an aversion to closed systems. When I opposed itinerary to process just now, I was allowing for these interruptions, caesurae, catastrophes and ironies that often give the music a dimension of narrativity – even when (as is usually the case) no explicit narrative is involved. Again, I stress that this is a description of how I work and not a prescription, nor does it entail any prohibitions. My strong feeling is that it’s contrary to the air of the times, which makes me all the more stubbornly resolved to persist with it. AS: Along with the emphasis on conflict, the narrative dimension of your music is perhaps the feature that most differentiates it from what you described earlier as ‘neo-light music’. Music based on narrative – even an illusory narrative as in your music – makes considerable demands on the listener. If you don’t listen closely you can get disorientated or lost – quite like reading a novel and zoning out for a minute or two only to realise five pages later that you don’t know where you are. This gives your music a level of ‘difficulty’ which is absent from a lot of today’s music. Do you see the maintenance of this narrative dimension as a conscious act of resistance? I mean, does it have a political dimension? RD: I don’t know if there’s an ‘emphasis’ on conflict rather than an openness to it, and I don’t see this as distinct from the ‘narrative’ dimension. Mostly my music isn’t ‘based’ on narrative, but evokes its possibility. And because resistance to imposed or inherited stipulations is a dimension inherent to the work, I don’t think of it as a conscious stance. Of course it has – for me, at any rate – a political dimension (everything does), although I was composing that way before I ever woke up politically. I feel that the ‘difficulty’ of my music is of a different nature: although it refuses to stay in any box, it tends to be thrust into one by unwary or prejudiced listeners, like a friend who spoiled his expression of enthusiasm for my Embers by adding: ‘very relaxing!’ It seems clear to me that if one listens to Embers with open ears it’s anything but relaxing, and to hear it as ‘very relaxing’ entails singling out one aspect and ignoring the rest. A lot of my works begin with a kind of welcoming gesture, putting the listener at ease before pulling the rug from beneath his/her feet. As a result, listeners still in thrall to a Germanic concept of avant-gardisme – as objectionable to me as white-note post-minimalism, by the way – rarely listen past the opening, while those of a traditionalist disposition refuse to hear the subversive elements. For postmodernists my work can resemble ‘old-fashioned neo-expressionism’, a phrase that the grapevine passed on to me from a respected colleague, while disciples of Lachenmann dismiss it as nostalgic. Another colleague pointed out that none of my scores begin with six pages of instructions, hence Germans are automatically dismissive. Andrew Hamilton once lamented to me that Germans don’t like his music – the same is true in my case, but downtown New York doesn’t like it either! Maybe that’s its distinction, if it has any. AS: You mentioned that, for you, everything has a political dimension and of course your activism on behalf of the Palestinian people is well known. Recently, you were involved in collecting signatures for a petition against censorship at the Donaueschingen festival where the artistic director had refused to consider a proposal for a work by the Anglo-German composer Wieland Hoban on the basis that it was critical of Israel. The proposed work dealt with operation Cast Lead, the three-week military offensive on Gaza by Israel between December 2008 and January 2009 which caused massive Palestinian casualties. Unlike Hoban, you have tended not to address political issues directly in your music, why is this? RD: The issue with Donaueschingen wasn’t the rejection of a specific proposal by Hoban, but the festival director’s statement that he would never allow criticism of Israel – a rogue state, the unconditional support of which by Germany merely perpetuates rather than lessens German historical guilt. I’ve published many articles down the years expressing this viewpoint, completely incomprehensible to Germans. In fact there is an explicitly political dimension to works like the Oboe Concerto (1993–4), Passage-Work (2001), Siberia (String Quartet No 5) (2014), and the forthcoming opera Vagabones. The latter replaced an abortive operatic project for Germany that would have engaged with the centenary of the Munich Soviet and would have been my most explicitly political work to date. In general, however, I have preferred to address political issues directly as a citizen and to exploit whatever small public profile I possess to that end. And, as we’ve seen, I consider that the stylistic choices one makes as a composer aren’t politically neutral whether or not one spells out a message. AS: In your last opera The Alma Fetish (2006–12), which was based on the affair between the painter Oskar Kokoschka and Alma Mahler, you tried to recreate something of the febrile atmosphere of early twentieth-century Vienna with distorted dance music and passages of dark expressionist writing reminiscent of composers like Zemlinsky, Strauss and Schrecker emerging and receding throughout. In your new opera Vagabones, based on Emma Donoghue’s play Trespasses, have you taken a similar approach or have you gone for an altogether more abstract language? We’re obviously dealing with a very different time period as I understand that the subject matter deals with the trial for witchcraft of a woman named Florence Newton in Youghal, Co. Cork, in 1661 – one of only two witchcraft trials which have been documented in Ireland. Can you give us some preview as to what the music will be like? RD: The Alma Fetish deploys parody and quotation obsessively – there are bars in which Mahler, Strauss and Wagner are superimposed on one another without the listener necessarily being aware of it. Vagabones is pretty much free from such indulgence – although I hunted around for appropriate Irish folk melodies, but found none that seemed apt. It’s a chamber opera – 6 singers, 13 instruments – whereas Alma had full orchestra and chorus. I devised a pitch structure based on superimposed scales which generate 6 chordal sequences, each of which is associated with one of the characters. This is a tight framework that will hardly lend itself to use in other compositions, but we’ll see! Donoghue’s little play is actually quite political, bringing together issues of patriarchy, superstition and colonialism. Donoghue was probably evoking the Berlin Wall when, back in 1996, she put the words ‘The walls will fall!’ into Florence’s mouth – indeed they’re her final words – but the slogan has acquired powerful resonance in recent years when the construction of walls by oppressive regimes has again become fashionable. AS: The chamber opera format would also make it more logistically viable to perform. Are you hopeful that it will receive a staged performance sometime in the near future? RD: Actually, Vagabones was commissioned by Opera Collective Ireland and was one of two operas funded under the Arts Council’s new opera commissioning scheme – a positive development in itself. It’s due to be premiered and toured in autumn 2019, so the omens appear promising. AS: Well, that certainly is a positive note on which to conclude. So your assessment is not entirely negative as far as the infrastructure for Irish contemporary music is concerned? RD: The fact that after half a century in the business I can anticipate occasional strokes of luck hardly, in itself, testifies to the health of the system! Ireland still invests considerably less in the arts than most other EU states, and within that framework contemporary classical music remains the Cinderella. For someone who briefly believed that these battles had been won decades ago, this is discouraging. What is encouraging is exemplified by the workshops we held for the first act of Vagabones over a week in October 2017 when I was astonished by the dedication of the young professional singers, who by the second day were mostly singing the tricky score from memory. Fortunately, in spite of everything, there are enough skilled musicians out there – performers, composers and administrators – who are sufficiently idealistic and enterprising to overcome all obstacles the state puts in our way.